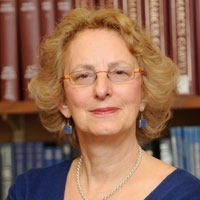 On October 30, Prof. Susan Reverby enthralled a large audience of medical students, faculty and the general public with insights into the unusual and revolutionary journey of Dr Alan Berkman (1945-2009). As a member of the Weather Underground, this American physician did jail time for his part in the Resistance Conspiracy, and almost died in prison due to inadequate medical attention. After his release, Berkman turned his attention to health care needs of the community. An activist on many fronts, Berkman was a founder of Health GAP, formed to deliver antiviral drugs and other AIDS medications to the poorest nations. Earlier in the day, Prof Reverby talked about her work on the Tuskegee Syphilis Study (1932-1972) to medical students at a lunchtime session of the Osler Society in the History of Medicine Library, HSA 041. Prof Reverby also spoke with graduate students of the Global Health Systems Program in an informal meet-and-greet event at the Murray Lounge, SDRI. It was a jam-packed day of engaging interactions among students, faculty and an outstanding scholar in the history of medicine field. Thank you everyone for contributing to the success of these events! "How did you become interested in Dr Alan Berkman and his AIDS activism?" Read Dr Susan Reverby's answer to this question and more in an interview conducted by Dr. Shauna Devine earlier this month. Click here for interview transcript. Every autumn a distinguished medical historian is invited to Western University to deliver a public lecture to medical students and faculty as well as interested members of the London community. The lecture series was established in 2015 through the generosity of a donor impressed with the engagement and quality of medical student presentations in the history of medicine at the spring History of Medicine Colloquium at Schulich Medicine. In this spirit, this funding further bolsters medical student engagement with the history of medicine by bringing leading scholars to Western, significantly adding to the intellectual community and educational experience of students. 2017 - Dr. Jeffrey Baker, Director of the Trent Center for Bioethics, Humanities and History of Medicine, Professor of Pediatrics and History of Medicine at Duke University, Durham, NC. "Autism and Its Transformations The History of a Contested Diagnosis"
Photos and information on the 2017 lecture available here. "The Stethoscope at 200: A Revolutionary Device now Obsolete?" Photos and information on the 2016 lecture available here. "Caring for the Wounded: How the Great War Medical Experience Shaped Post-War American Surgery"
Photos and information on the 2015 lecture available here.